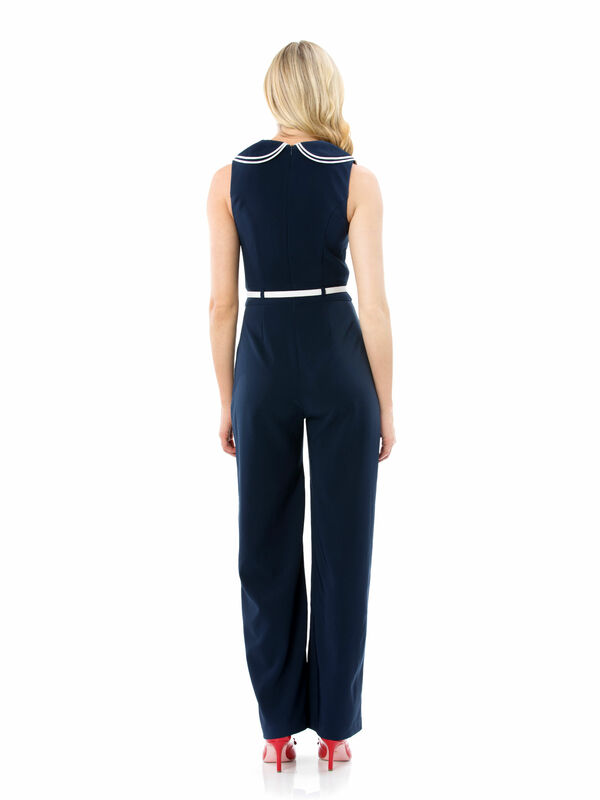 Ahoy There Jumpsuit https://www.review-australia.com/asia/ahoy-there-jumpsuit-navy/RE19DR257.RENVY009.html Make a navy blue statement in the Ahoy There Jumpsuit! Playful yet stylish and sophisticated, this jumpsuit features a v-neckline, breasted button detailing and a statement white waist belt. Made from light weight fabric with a slight stretch and regular fit.